Several members of Trinity have been highly instrumental in the building of a school in Dodoma, Tanzania. 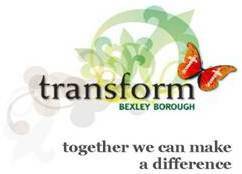 Trinity has strong links with CRIBS (Christian Resources in Bexley Schools) who have been working in Bexley Schools since 1993. Explore the meaning of Life. The Alpha Course runs twice a year at Trinity. Trinity is part of a co-operative of churches working to make a positive and dynamic change in their community, for Christ's sake.